A community-wide effort to improve central Iowa students’ reading skills has recruited 500 reading mentors and launched several strategies that are showing success. 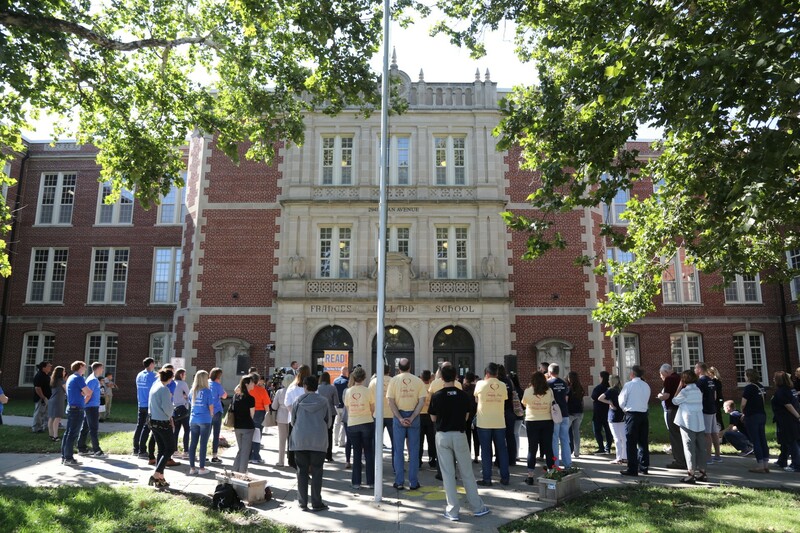 United Way of Central Iowa announced the results of its READ to SUCCEED campaign at Willard Elementary School on September 11, 2018. READ to SUCCEED was launched in 2016 as United Way of Central Iowa’s first-ever community-wide call to action during its Centennial Year. The goal of the campaign is to give central Iowa students the skills and tools they need to read proficiently by the end of third grade, the number one predictor of whether a student will graduate from high school. 500 new volunteers are reading with an elementary school student through Power Read, in partnership with Everybody Wins! Iowa. Of the 896 students who read with a Power Read volunteer last year, 99.6 percent improved their reading skills. Book Buddy, a program that pairs volunteers to read with four-year-olds, has expanded to nine centers, including two new sites in Perry and West Des Moines this school year. Research shows that of the students who read with a Book Buddy volunteer, 10 percent more are reading proficiently three years later compared with peers who were not in the program. Vision To Learn was launched in Des Moines in May 2017, and last school year, provided more than 700 students at 22 elementary schools with eyeglasses. The program is expanding this school year to two middle schools in addition to 22 elementary schools in central Iowa. All schools served by the program have more than half of students on free and reduced-price lunch. Nationally, the program has found that 90 percent of low-income students who need eyeglasses do not have them. Real Men Read was launched to pair male volunteers with a classroom of students once a month to read books that explore careers. Central Iowa businesses donated 40,000 books, 10,000 more than projected, through Stuff the Bus, which were distributed to child care centers, in-home providers, and non-profit partners. Research shows that most children in low-income neighborhoods do not have access to age-appropriate reading materials. Today’s announcement took place on United Way of Central Iowa’s Day of Action, the largest one-day volunteer event, with more than 4,500 volunteers from 46 businesses participating in 160 projects with local non-profits. 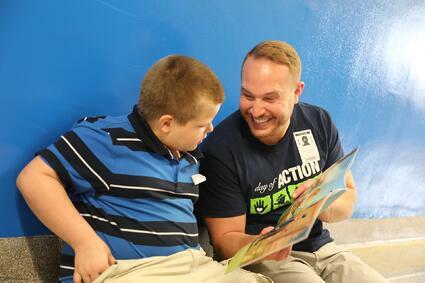 700 volunteers spent the morning reading with third graders at 14 schools. In central Iowa, one in four students are not reading proficiently by the end of third grade. Of students who qualify for free and reduced-price lunch, 57 percent are reading proficiently, compared with 90 percent of students who do not qualify for free and reduced-price lunch. United Way of Central Iowa is still seeking volunteers for Power Read and Book Buddy this school year. Learn more about this effort at www.read2succeed.org. 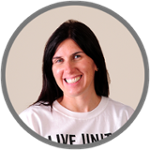 Kate Bennett is the Community Impact Officer for Education.